Google has confirmed that Google has updated its algorithm in March 2019. 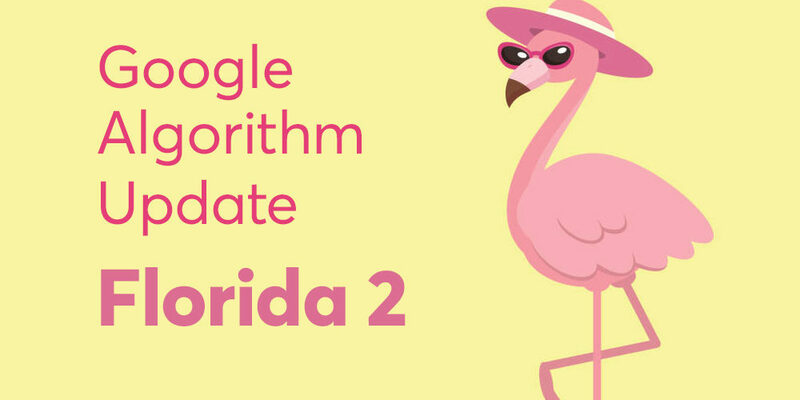 Google called it another broad core update and it’s been given the name ‘Florida 2’. A broad core update means that Google is not targeting any niche or any particular signals, like quality. In a broad core algorithm update, Google is not targeting anything. Some in the SEO industry theorise that Google “targets” specific industries. But Google’s John Mueller has consistently denied that broad core updates target specific niches. Broad core updates do not target websites, niches, or qualities. That is why Google has said that in broad core updates, there is nothing to fix. The best approach to understanding a broad core update is to set aside preconceptions that Google is targeting low page quality or niches. Then focus on relevance related factors. Why Was the Update Called Florida 2? Google’s Florida Update was an important one in the early 2000s. It was so named because the algorithm change coincided with the Pubcon Florida SEO conference. The whispers about this update also coincides with the 2019 Pubcon Florida conference, so it was decided by Brett Tabke, founder of Pubcon and WebmasterWorld that this update will be named, Google Florida Update 2. WebmasterWorld has traditionally named the Google Updates. > Indiscriminate changes in website ranking and traffic, especially where certain websites have reported zero traffic after the occurrence of the update. > There is evidence showing the increase in traffic for website owners who provide importance to quality content and page speed. > A worldwide impact which won’t be niche specific or specific to the region or its update. > The great number of adjustments in the way Google is interpreting given search queries. > Quality of backlink which plays a major factor.